Monday, March 26 was an historic day for the NSU Middle Lab School. The orchestra, under director Katrice LaCour, was one of six groups who performed at Carnegie Hall in New York City. This historic journey began slightly over a year ago after receiving an invitation from Manhattan Concert Productions. The first Booster Club meeting was March 1, 2018, and a fundraising committee was formed to raise money to offset the cost of the trip. Shelbi Sampson, Cason Dillard, Madeline Nicholson, Hunter Goodman, Jace Carpenter and Natalie Molina on their first subway ride. The Orchestra Booster Club organized several bake sales, its first golf tournament, two hamburger sales (Cane River Charities), Martha Dowden’s Famous Pound Cake sale and performed for Gov. John Bel Edwards and the First Lady at their first orchestra banquet. More than $75,000 was generated through fundraising and private donations throughout the year, but raising money was only half the challenge. Invited participants are required to perform a 25-minute program consisting of several musical selections. 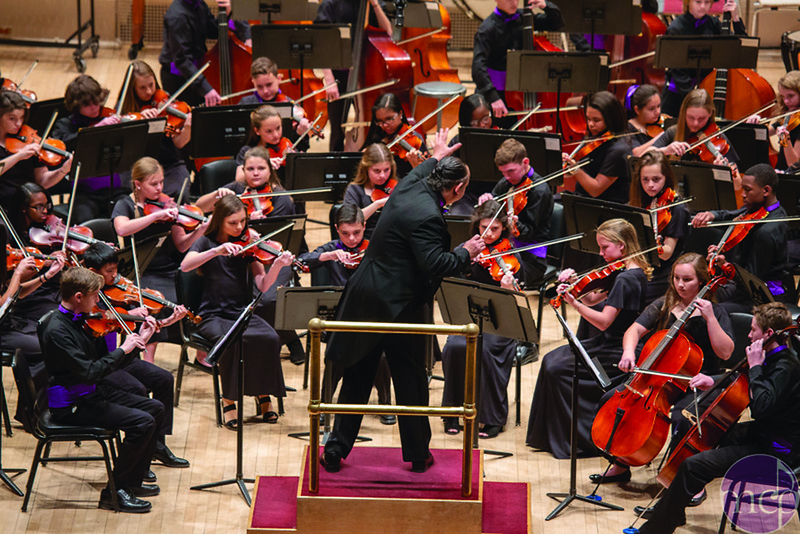 The NSU Middle Lab School combined members from its sixth-eighth grade orchestra classes to form a 64-piece ensemble. Because of the diversity in playing abilities within the group, multi-level arrangements were either purchased or composed from the orchestra’s existing library. Victoria Wiggins, Lisa Wiggins, Bess Stewart, Casey Stewart with Michael Strahan and Robin Roberts on Good Morning America. The ensemble returned to school July 31, 2018, and participated in a two-week orchestra camp. Sectional and combined rehearsals were conducted to prepare for the concert and other playing obligations for the school and Natchitoches community. Once school began, the group continued after school rehearsals under the direction of LaCour and talent teacher Milovan Paz until the orchestra’s departure date. Cason Dillard and the 911 memorial. The group’s final rehearsal was Friday, March 22 at 8 a.m. and was attended by School Board President Rhonda Guidroz, Middle Lab Principal Ben LaGrone and NCHS orchestra director Syll-Young Olson. Upon completion of the morning rehearsal, instruments were loaded into a cargo van. Parent Allen Hudson and his daughter Chloe set out on a 23-hour drive to New York City with the instruments in tow. Kennedi Nelson, Morgan LaCour, Gabe Castro in front of Carnegie Hall Plate. The group was accompanied by 116 parents, grandparents, siblings and cousins to bring the total number of travelers to 180. The orchestra and chaperones departed Natchitoches March 23 around 4 a.m. on three charter busses to board a flight out of Dallas to New York. The group traveled on two planes, and upon arrival checked into The Westin New York at Times Square. The itinerary began Sunday with an educational clinic in the Majestic Ballroom. Dr. Adam Boyles, Director of Orchestra at the Massachusetts Institute of Technology, worked with students on advanced ensemble techniques and gave tips on dealing with the acoustics and overwhelming experience of Carnegie Hall. Later that afternoon, the group went to the Minskoff Theater on Broadway for the show The Lion King. Students experienced one of the top-rated shows on Broadway and met several of the cast after the performance. Monday was the orchestra debut in Carnegie Hall. Other groups participating were Roosevelt High School Symphony Orchestra from Seattle, Wash., Skyline High School Orchestra from Ann Arbor, Mich., McCallum High School Orchestra from Austin, Texas, Malibu High School Orchestra from Malibu, Calif., and Heritage High School Symphonic Orchestra from Littleton, Colo. The NSU Middle Lab Orchestra performed an amazing concert and received a standing ovation. After the concert, all participating groups were treated to a buffet and dance party at Planet Hollywood in Times Square. Students had a meal and the opportunity to mix and mingle with other participating schools. Directors also had the chance to meet and share ideas concerning music education, motivational techniques and ways to build and sustain a strong music program. Other excursions for the group included the 911 Memorial, Top of the Rock (Rockefeller Center Tour), Statue of Liberty, St. Patrick’s Cathedral, Brooklyn Bridge Walk, New York Stock Exchange, ice skating, American Museum of Natural History, The MET and Museum of Modern Art. Some were invited backstage of the Good Morning America and Today Shows. Their Spring Concert will be May 14 at 5:30 p.m. at Magale Recital Hall. Ayla Payne, Alyssa Chandler, Kennedi Nelson, Mr. LaCour, Jesse Foshee and Kyron Payne in front of only surviving tree from 911.